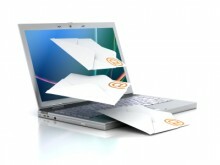 Do you and your organisation need to improve how you use email? We provide a range of training, coaching and consultancy services to enable business users at all levels (from PAs to Chief Executives) to use email more efficiently to improve business performance and personal productivity. Did you know – an untrained PC user costs five times as much to support as a well trained one? Do you realise that most people waste up to 21 days per year through ineffective use of email? We will help you reclaim that time lost through email misuse no matter what the underlying cause (from excessive cc’d emails and poor quality email communications to lack of sharing information and knowledge and skills to use the email software.). Do you need training to help you use and your organisation use email best practice to reduce email overload and improve your email etiquette? Then our workshops and master classes can help you. Using our Nine Ps of Smart Email Management framework, our clients save up to one hour per person per day dealing with their email. Our training can be delivered as conventional instructor-led workshops, webinars and through one-to-one coaching. Do you need a personalised service to help with just you (and maybe your PA) manage your inbox? Our one-to-one coaching is specifically designed for top level executives with extremely limited time and who need very focused attention on their personal needs and way of working (like a personal shopper). How robust is your email policy? Would it stand up in a court of law? Is it up-to-date to take account of any new legislation effecting email? Do it cover the use of social media and the trend towards Bring Your Own device (BYOD)? We can help you benchmark your current email policy and update it as necessary. We have developed a unique range of tools and methodologies to ensure that business users learn skills they need to do their job and achieve their business objectives rather than using the technological features for technology’s sake. These include our Inbox Audit processes, Email Addiction self-assessment tool, Email Etiquette checklist and Outlook IT Fitness check. You can access these free through this website for personal use and they can be delivered organisation wide through our training, one-to-one coaching and consultancy services. Click here to access some of these tools now. We work with you, and as appropriate your IT and HR department to ensure the maximum return on your investment in any initiatives, be it a small workshop to a large consultancy project.